Demanding, easily distracted and suffering from ‘avocado hand’: Millennials often get a bad rap. And what of their successors, Gen Z? 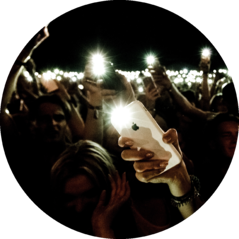 Digital natives, Snapchat addicts who are more concerned with taking a great selfie than partying (according to some). Whether or not these titles are deserved, both groups represent the future, shaping expectations about how brands should communicate with customers for years to come. Only 6% of 16 - 24 year olds aren’t signed up to brand emails, which means a whopping 94% who are accustomed to brands contacting them via email. This is a stark difference from Boomers, 26% of whom aren’t signed up to receive marketing emails from anyone. The key takeaway from this is that Gen Z and Millennials expect you to contact them, and in most cases welcome it. But watch out: they subscribe to many retailer emails but open few, so you need to ensure that the marketing messaging that they do receive is memorable (more on that later). This won’t be shocking news to any smart retail marketer, but the love of social media has key differences within the two generations. It’s easy to presume that they operate on their chosen social media platforms the same way; Gen Z favour the image-heavy Instagram to connect which differs from Millennials who are more fond of Facebook, with 40% of them preferring the channel compared to only 26% of Gen Zeders. Despite not using email as much as Gen X and Boomers, this group are are still particular about the content that finds its way to them. Nearly half of Gen Z (43%) noted they are “bothered a lot” by a high influx of emails to their inboxes. Coupled with our stat of only 1 -5 emails being opened daily, this means that to really appeal to this elusive generation, it is essential your campaigns are impactful and relevant to them as a customer. Like any loyal customer, Gen Zeders want to be treated as important. 31% feel more valued when you offer them perks and promotions that aren’t offered to anyone else. This creates a fantastic opportunity to use everything you know about them to create personalised marketing campaigns that are tailored to their shopping habits - especially if they are a high value customer! Nearly 60% of Millennials (25 - 34) are willing to share more information with retailers, if it means they can have more personalised and relevant marketing experiences. As this generation and the one after it has grown up with the growth of the internet, social media and sharing themselves online, it makes sense that they expect and want you to know all about them but this means that your marketing messages should feel like they are crafted with them in mind. For retailers, this means you can ask for more information about customer preferences and demographics - without worrying about putting them off - to build a more complete picture of your customers. Find out more great stats from our Consumer Census to learn what your customers expect, dread and need from you! 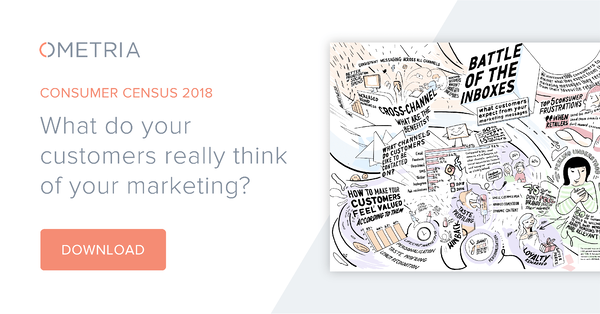 With our census you can learn how to engage with your shoppers on their preferred channel, how frequently they’re opening your emails and why they’re ‘bothered’ by your marketing.